WASHINGTON – Amtrak today reported exceptionally strong unaudited financial results for the fiscal year which ended on September 30, 2016 (FY 2016), including an all-time unaudited ticket revenue record of $2.14 billion, a $12 million increase over Fiscal Year 2015. The increased ticket revenue was fueled by a record 31.3 million passengers on America’s Railroad® – nearly 400,000 more than the previous year. 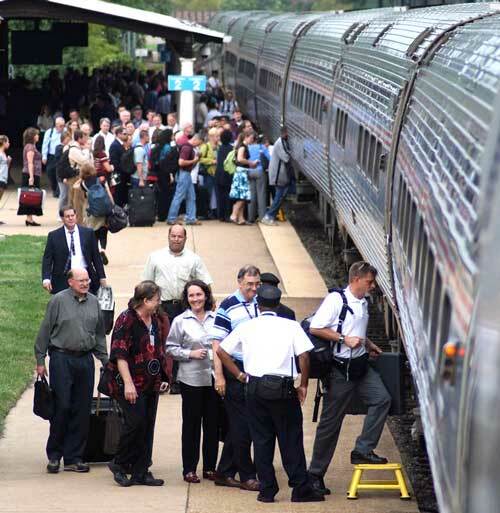 This is the sixth consecutive year Amtrak has carried more than 30 million customers. The company covered 94 percent of its operating costs with ticket sales and other revenues, up from 92 percent the year before – a world-class performance for a passenger carrying railroad. Unaudited total revenue was a record $3.2 billion for FY 2016. In addition, Amtrak reported an unaudited operating loss of $227 million, a reduction of $78 million over last year, and the lowest operating loss since 1973. Thanks in part to our strong performance, Amtrak was also able to make a net reduction in long-term debt of $71.4 million. Several Amtrak services had record years in both ridership and revenue including the Northeast Regional (Boston-New York-Washington/Virginia), Pacific Surfliner (San Luis Obispo-San Diego), Capitol Corridor (San Jose-Sacramento/Auburn), Keystone (New York-Philadelphia-Harrisburg) and Hiawatha (Milwaukee-Chicago) state-sponsored corridors, along with the California Zephyr (Chicago-Denver-San Francisco Bay). To boost ridership, Amtrak added cars to high-demand or sold-out trains. Amtrak also improved its on-time performance of trains and customer satisfaction scores, and offered new services such as allowing pets and bikes on trains. In August, Amtrak announced it will be investing nearly $2.5 billion in new trainsets and infrastructure upgrades for the next generation of Acela Express. The new trainsets are expected to be operational beginning in 2021. The company is also going to make significant station improvements at Washington Union Station in Washington, D.C., and to create the Moynihan Station in New York City, along with other major station investments and developments in Philadelphia, Boston and Chicago.